SMALL ROLES ARE SOME OF THE HARDEST TO NAIL IF YOU DON'T KNOW THE SECRET. Once you know the 5 keys to NAILING SMALL ROLES, you'll be able to walk in to any audition for a smaller role and kill it. These exact techniques are ripped right out of my years in the audition room so I KNOW they work. After all, I cast actors who DID these very things over and over again. When you register for the webinar you will get all the knowledge and experience I've accumulated from years of auditioning actors just like you. “Coach ‘n Teach” Get real, practical, first-hand knowledge of how to coach yourself through the process, step-by-step, as you watch me coach and then explain how you can apply what you're seeing to your own auditions. 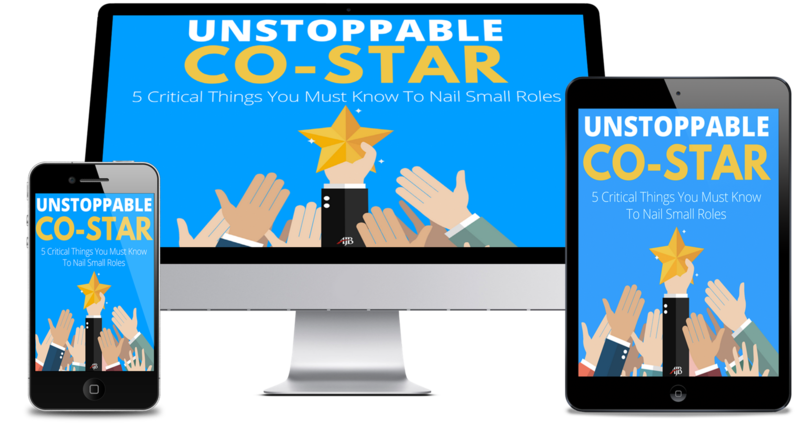 Click “Add to Cart” to get the Unstoppable Co-Star course and learn how you can nail your next small role audition.